Our research is diverse, covering natural sciences, mathematics, physics, computer, security and technology. Our research aims to find positive solutions to real-world problems related to the environment and the way we live and work. Research in the school is led by highly qualified, dedicated and internationally-recognised researchers, supported by state-of-the-art technology and strong links with industry and government to create research that makes a difference. Our researchers and facilities provide a supportive and rewarding experience for research students. 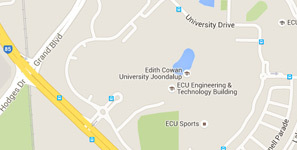 The School is home to ECU Security Research Institute, Electron Science Research Institute, the Centre for Ecosystem Management, and Centre for Marine Ecosystems Research.